With the year ending very soon, the customary YouTube Rewind is here. In 2013, only five out of the 10 top trending videos in Malaysia were local contents. Fortunately, 2014 saw a welcome change, with all 10 trending videos coming from local YouTubers. 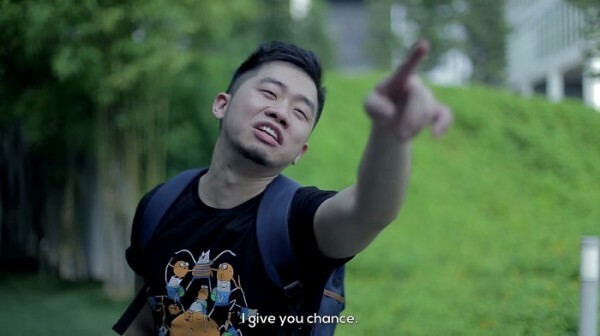 DanKhooProductions’ “I Give You Chance!” tops the list, while TricycleTV’s “Typical Malaysian Football Fan” comes second. In terms of top 10 trending music videos, however, we’re not quite there yet. There’s a 50/50 mix of global and local artists, with Shakira’s La La La taking the top spot while Katty Perry’s Dark Horse takes second place. Perhaps we’ll see all 10 trending music videos in Malaysia to come from local talents next year. Kill some time and enjoy some of these humorous videos from our local YouTubers. Globally, the “Mutant Giant Spider Dog” comes out on top, and at the fifth position is the now infamous iPhone 6 Plus “bendgate” video from UnboxTherapy. It would be nice to see at least one of our local YouTuber make it to the global trending list, but hey, there’s still next year. Visit the YouTube Rewind Malaysia channel for more top trending videos in Malaysia. Below you’ll find the customary global mashup video featuring various top YouTubers around the globe. You might see some of your favourite Youtuber in the video, including Tiny Hamster eating an equally tiny rewind button at the end. Finally, let’s also not forget our very own Happy music video, shot with hundreds of you here in Kuala Lumpur! The video gained plenty of traction when it was released earlier this year, and one which Google Malaysia lists as one of its pop culture moments of 2014.